Ever wondered how properties are valued? Do you think there’s any substance to the perceived value of your home? If you’re looking to buy or sell a property, then it’s important to understand how value is assigned to them. This knowledge will help you to identify the right time to buy or sell, and the right price bracket you should be aiming for. In this article, I’ve outlined some of the tangible and intangible factors that can affect real estate prices. They’ve been grouped into two sections; micro and macro factors. 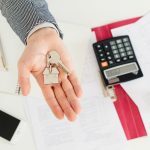 The micro factors include everything concerning the property, while the macro factors are external factors that you (as a buyer or seller) have no control over. 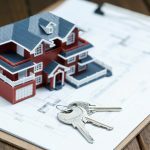 The factors listed in this article are by no means an exhaustive list – there are always other factors that can (and do) impact real estate prices. When needed, the government curbs overflow of cash in the economy by hiking the interest rates on loans. This way, banks are forced to borrow less and approve fewer mortgages. Your mortgage interest rate determines the amount of interest you pay, along with the principal, or loan balance, for the term of your mortgage. Mortgage interest rates determine your monthly payments over the life of the loan. Consequently, the interest rate on approved mortgages goes high. These high monthly payments discourage potential buyers from putting an offer on a home. Basically, the harder it is to borrow money, the harder it is for potential buyers to enter the housing market. 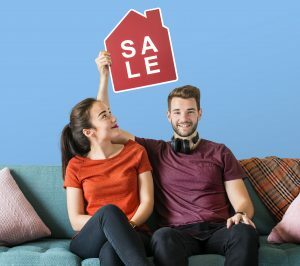 In a country like Canada, where variable interest rate mortgages are incredibly common, an increase in interest rates will immediately mean a decrease in the number of properties sold. Even the smallest changes to the interest rates can shoot a home that was previously within budget, to beyond affordable. It is often said that the real estate market is a reflection of the economy at any time. When the economy is booming, certain parts of the real estate market flourish, and when the economy is down, the market suffers. When there’s a high supply of cash, the price of homes increase. This is because sellers know that the potential buyers can acquire a healthy loan from the bank. Too many buyers enter the market, and if the rush doesn’t correct itself, the market eventually reaches a crash. Subsequently, when the supply of cash dries up, prices of properties drop. This is because there are fewer competing buyers, and sellers want to make their properties attractive to prospective buyers. For people with adjustable rate mortgages, a slow economy could lead to foreclosure on their properties. When the interest rate rises and they can’t afford the new monthly rates, they could lose their homes. The unemployment rate in any country is closely monitored, because a rise in it indicates a fall in the economy. However, there’s usually another affected sector which most people do not consider; the real estate market. When more people enter the workforce, the economy grows, and people can afford to buy and rent properties. Also, when there’s a growth in a particular industry, the demand for housing increases. For example, with the booming tech industry, tech hubs around the country are pulling their weight in the workforce. People are migrating from smaller cities to find jobs that meet their qualification. This increase in demand will cause a growth in interest rates, as property owners know that the target population can afford the prices. There’s an even bigger spike in property rates if demand begins to outweigh supply. When there are too many people and not enough spaces, properties go off the listing as soon as they are published. Property owners can push their price as high as they want because the buyers have little to no other option. Real estate is one of the most attractive investment options available. Both local and foreign investors make a fortune from buying old or foreclosed properties, fixing them up, and selling or renting them out. In 2017 alone, foreign investors owned $37.37 Billion worth of Toronto properties. Similarly, Vancouver has $45.25 billion worth of foreign owned real estate. However, with a growing economy, these business ventures could eventually slow down. Homeowners will stop making distressed sales, and cheap properties will be hard to come across. These investors will need money to keep coming in, so they might choose to sell off some properties. In a situation like this, several properties will hit the market at once, competing for buyers and effectively driving their prices down. There are several subsidy efforts the government could take to boost or reduce the pace of the real estate market. Changes in tax credits and deductions could immediately affect the balance of demand and supply. In Canada, there are several taxes in place for property buyers and renters such as transfer tax, annual property tax, municipal tax, goods and service tax (for new home purchases), and so on. As a non-resident selling a Canadian property, the government could take up to 50% of the profit as a withholding tax. For both domestic and foreign property buyers and sellers, there are policy implications at every stage of the process. Some of these implications can discourage the parties involved, and keep properties off the market for years. In Vancouver, and to a lesser degree the surrounding suburbs, Vancouver has recently introduced Bill 28, aka the “Foreign Buyer Tax”. This tax, originally introduced by the B.C. Liberal parties, was a 15% tax foreign home buyer tax intended to curb foreign speculation. The tax only applied to the Metro Vancouver area. Now, in 2018, the B.C. NDP party is now looking to up the tax to 20% and will include the Fraser Valley, the Nanaimo regional district, and the Central Okanagon. The introduction of this policy has been a contributing factor in the recent slowdown in the Vancouver Real Estate market. Government policies can play a major factor in the real estate market. Location is the most obvious indicator of the price of a property. The best-looking, modern home will lose value if it is in a poor location. The first impact on property is proximity to all the important things. Homes located in the centre of the city always cost more. If they’re close to public transport terminals, a beach, or work areas, then they are said to be in prime locations. In NAR’s Community Preference Survey, 57% of the respondents would give up a home with a large yard, for one with shorter a commute. For the younger generation, proximity to social and recreational spots are also very important because they consider lifestyle when choosing a home. Parents will consider properties with good schools in their areas. 78% of the respondents considered neighborhood quality as more important than the size of the home. The dynamics of their community is also important, as the immediate community will make up the social life of the family. All these factors are beyond the physical structure of the property, but can either drive the cost up or keep it low. All property sellers compare their asking price with the average selling price of similar properties in their neighbourhood. These are called ‘comparable properties’ or ‘comps’. The reason is obvious enough; to determine a market-accepted rate for the properties. If a property owner places their price too high, their home could sit on the market for a long time with no offers. If they place it too low, then they will lose in terms of value. Comparable properties also need to stay on the same value to avoid rocking the market. The price of a property does not just affect that one sale, but all the similar properties on the same market. For example, if property owners started selling for less than the average price, they could push the value of other properties down. In most cases, inspection reports drive the value of property down. Buyers who are ready with cash often ignore the need for an inspection report, but mortgage lenders don’t. The inspection is conducted to uncover all the hidden defects on the property. Such defects usually mean more dollars in repair costs once the buyer signs the dotted lines. With an inspection report, the more defects uncovered, the lower the price of the property. When a buyer has a list of all the devaluing aspects of the property, then they can negotiate better. Another downside to inspection reports (for sellers) is that once it is conducted, the seller will have to inform all future potential buyers of the report. This means that they will never be able to list that property for their original asking price again. The only way to get around this clause will be to make some renovations to the property, then request another evaluation. Just as the defects in a property can reduce its value, its fixtures and upgrades can increase its value. Many buyers are on the look-out for homes that are move-in-ready. They have no interest in making repairs, even if it will fetch them a better deal. Instead, they are ready to pay more for a fully-functional house. A home with upgraded roofing, kitchen, or bathrooms can fetch a lot more money than other similar properties in the same neighborhood. An appraisal is a general process used in the real estate industry to price a property. This process can only be conducted by an appraiser licensed through an organization which is certified by the Canadian National Association of Real Estate Appraisers (CNAREA). An appraisal is usually requested if the buyer needs financing, or an individual wants to take a loan in their home equity. The lending body will only approve an amount that is within the value given by the appraiser. If the appraiser finds that there is serious structural damage to the property, the bank will not approve the loan until the seller fixes the issue. Appraisers are professionals, and banks need their input to decide on which loans should be approved and denied. Should I Move to Surrey B.C.? What is Bill 28 aka Foreign Investors Tax?